Jiyuken Namba Honten is a small but very popular restaurant in Namba, Osaka. 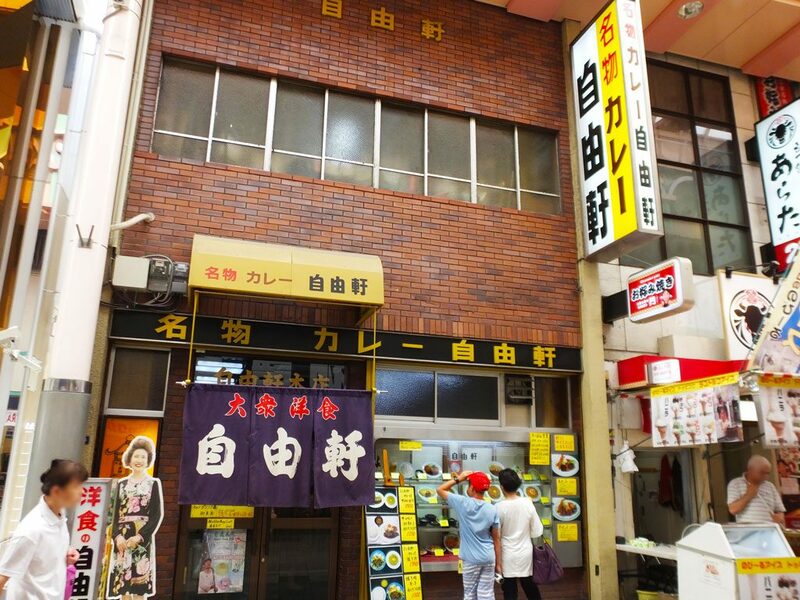 It is famous for its meibutsu curry. (“Meibutsu” means “a specialty of the house.”) Many TV celebrities have eaten the curry, so I had wanted to try it for a long time, and finally I went to eat it (in 2017). 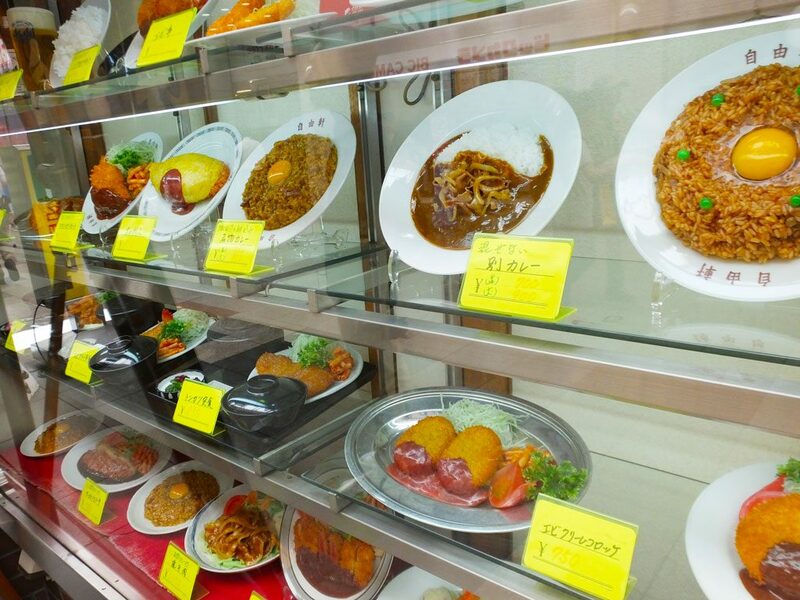 In front of Jiyuken, there were various fake food samples. All of them were attractive, but I had already decided to order the meibutsu curry, so I went into the restaurant without thinking about other dishes very much. It was so crowded in there that I had to share the table with other people, but I didn’t mind. This is due to the popularity of this restaurant! The next picture is the meibutsu curry. It looks different from what you imagined, right? 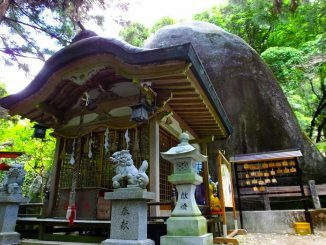 It was originally made when Jiyuken opened in 1910. Jiyuken was the first western-style restaurant in Osaka. At that time, there were not any electric rice cookers that could keep steamed rice warm. 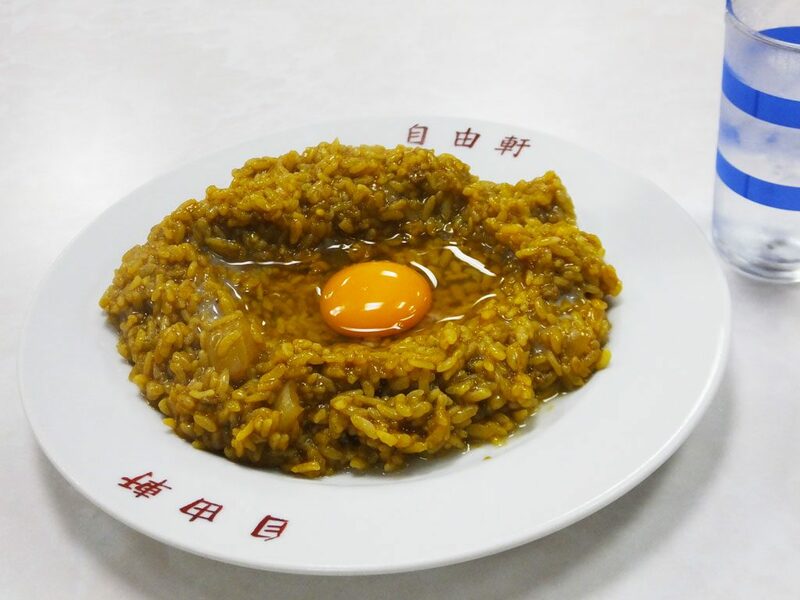 The founder of Jiyuken, Yoichi Yoshida mixed steamed rice with hot curry so as to keep it warm, and put an egg on it to make it more nutritious and tasty. People were very happy with it because eggs were expensive. Another good thing was that there was no need to know the table manners because the curry and rice were mixed together. 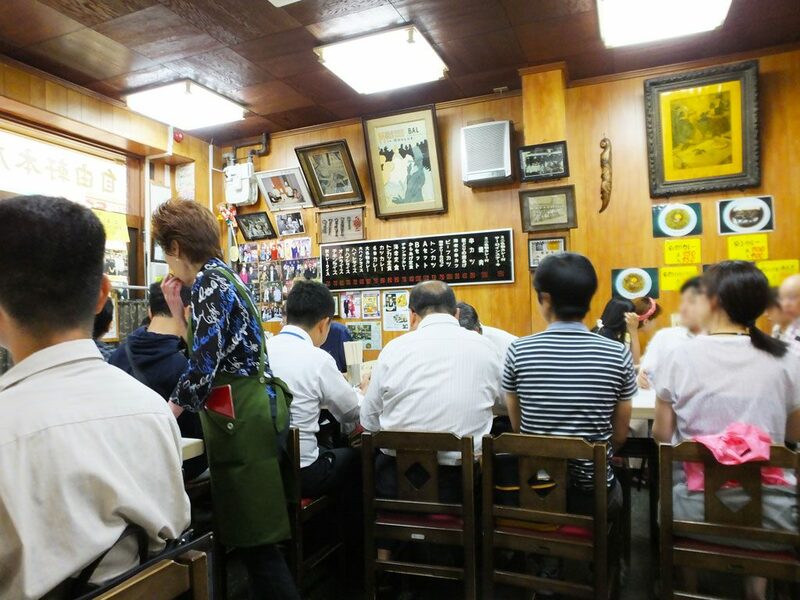 I ate it and felt the history and hospitality of the restaurant at that time. 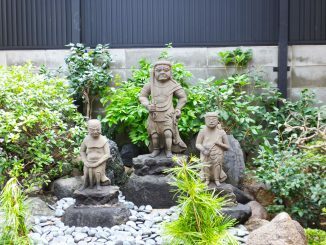 It is amazing that the meibutsu curry has been loved for more than 100 years. By the way, my husband ordered omu rice. 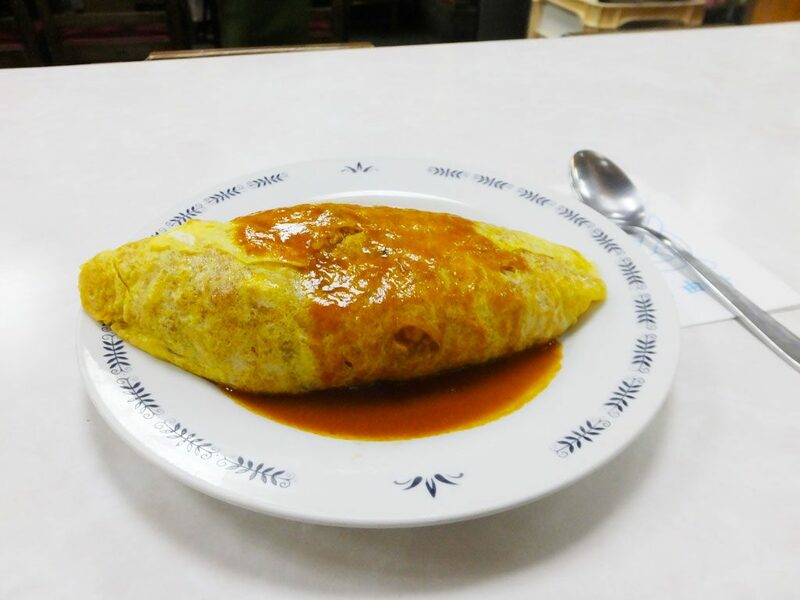 “Omu” means “an omelet” and omu rice is an omelet containing fried rice. It is one of the most popular dishes at western-style restaurants in Japan, and also a common dish at home. It is rooted in Japanese food culture indeed. If you don’t like spicy food, it can be another good option. 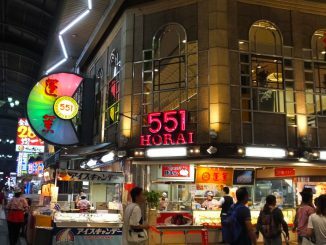 There is another store of Jiyuken in the commercial complex, Tempozan Market Place that is located next to one of the world’s largest aquariums, Kaiyukan. If you are going to visit Kaiyukan, why not add Jiyuken to your plan?